Recently, Zied Touzani, President of a Tunisian NGO, Tun’Act was a visiting fellow in Legacy’s Professional Fellows Program (PFP). He was chosen to participate in this two-way citizen exchange program, which is a capacity-building and professional development initiative, as one of the 16 delegates from Tunisia and Morocco who show leadership skills and work in civil society organizations. Tun’Act is a non-profit organization, non-partisan, education for citizenship and debate, which encourages young Tunisians to participate in the political life of their country and develops youth citizenship awareness. As part of his fellowship Zied participated in a month-long placement with mentors at the Foreign Policy Initiative (FPI) in Washington, DC. Placements for fellows include service organizations, advocacy groups, grassroots organizations, federal agencies, and congressional offices. FPI is a non-profit, non-partisan organization that promotes continued U.S. engagement—diplomatic, economic, and military—in the world and rejects policies that lead to isolationism. It gives robust support for America’s democratic allies and opposition to rogue regimes that threaten American interests. During his stay in the U.S., Zied wrote an article that was posted on usnews.com, “A Worthwhile Investment”. He wrote: “Today, the ongoing violence in Syria, Iraq, Libya and Yemen commands far more attention than events in Tunisia. 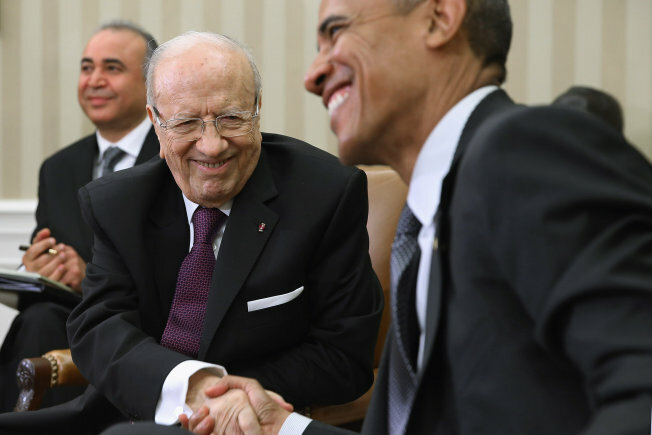 Yet strategically, democratic Tunisia may be for more important for U.S. national security and the future of the Arab world. As in 1943, success in Tunisia may become a turning point for the democratic cause. Zied has returned to Tunisia where he will be working on his follow on project to further his optimistic vision of Tunisia’s evolving democracy. Learn more from other selected Fellows at the Professional Fellows Program website.